Telemedicine Prescription Defense Attorney - Oberheiden, P.C. Several portals are looking for physicians that are willing to treat patients for pain, scares, allergies, DNA and blood testing, or laboratory work via telemedicine. Patients are being delivered to physicians and all marketing and patient recruitment is being provided. There is no overhead, physicians don’t need to worry about reimbursements, billing, or collection. All the physician needs to do is to allot some time (perhaps after hours or via phone on the way to the clinic in the car) and do a consultation, for which the doctors are being compensated. Obviously, this is a tempting business model. But is it legal? Across the nation, prosecutors have begun to look into the telemedicine practice of physicians. The attorneys of the Oberheiden, P.C. have been on the spearhead of this development and assisted the often shocked physicians with their dealings with government agents and prosecutors. If done correctly, physicians and patients simply project their consultation to a virtual forum. This change of venue does not change the fact that the consultation is still subject to standard rules of ethics and state and federal regulations. Just as it is true in a traditional clinical setting, all classic healthcare laws such as HIPAA, the Anti-Kickback statute, Stark Law, and other fraud and abuse laws apply. Additionally, and this is often overlooked, many consultations are governed by the federal rules for telemedicine. At a minimum, these rules require one of two conditions for a telemedicine consultation to be legal: an existing physician-patient relationship or a physical examination. Because all traditional laws apply, physicians participating in telemedicine and telehealth services must ensure compliance not just with general board prescription ethics, HIPAA, and fraud and abuse laws, but on top, also with the particular rules governing the state and federal practice of telemedicine. That makes telemedicine tricky. For one, telemedicine rules vary among the fifty states and it is impossible to provide a state by state account in this forum. More important than providing an account for each state, we believe, is it to alert physicians that most of the time, not state but federal law dictates the practice of telemedicine, especially when prescriptions under the Controlled Substances Act or federal program patients are involved. Recently, the government has begun to take a close look at practice of prescribing medicine or compounds via telemedicine. Federal prosecutors across the nation have issued Grand Jury subpoenas to a plethora of physicians requesting documents, patient files, proof of compliance, and other intrusive materials. Other physicians that contacted us reported that FBI agents suddenly appeared in their clinics to investigate the physician’s telemedicine practice. These physicians have learned the hard way that telemedicine can be a judicial landmine with enormous potential for failure. The enforcement risk for physicians comes from two ends: one, professional boards who have suspended licenses or restricted the ability to prescribe controlled substances; two, federal prosecutors who have opened criminal investigations. In the criminal prosecutions we have witnesses, the government has pursued investigations under the general federal healthcare fraud statute. Pursuant to 18 U.S.C. Sect. 1347, the government has the authority to criminally prosecute telemedicine violations within their jurisdiction as federal healthcare fraud. In this context, it is important to understand that federal healthcare fraud does not require a specific intent to violate the law. What is sufficient is that, here a physician should have known that the practice was illegal. This should-have-known standard is easily met as the law expects physicians to be informed about their doings and the ethical and legal rules that apply to their practice. Physicians interested in or already involved in telemedicine should consult with attorneys experienced in telemedicine laws. 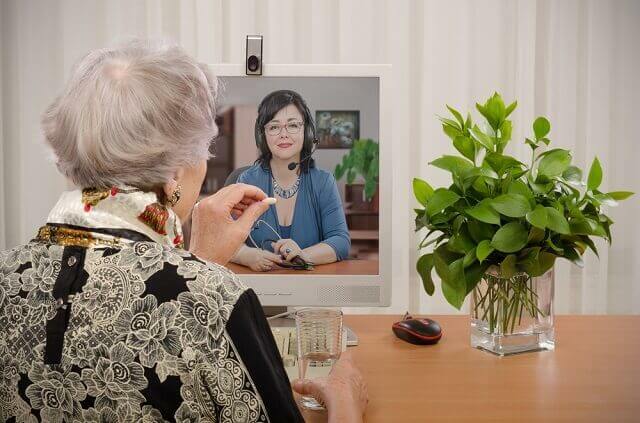 Because telemedicine is also new to attorneys, it is important to carefully select lawyers who have prior experience. The attorneys of Oberheiden, P.C. offer clients a unique perspective in the field of telemedicine. For one, several attorneys at Oberheiden, P.C. have previously held government positions in the area of healthcare investigations and, from that, have a good understanding what type of telemedicine the government is reviewing. For another, as healthcare fraud defense counsel, we have helped numerous physicians in federal criminal investigations and managed to defend their licenses. Physicians are invited to contact us, also on weekends, to discuss their questions and concerns in a free and confidential consultation. This information has been prepared for informational purposes only and does not constitute legal advice. This information may constitute attorney advertising in some jurisdictions. Reading of this information does not create an attorney-client relationship. Prior results do not guarantee similar future outcomes. Oberheiden, P.C. is a Texas LLP with headquarters in Dallas. Mr. Oberheiden limits his practice to federal law. No reference to state laws is meant to constitute the practice of law or advice on the law.